Whether you're going by car, Metro, bus, foot or bike, you'll be amazed at how easy it is to get around Arlington and D.C. Arlington is well connected by public transportation with 11 Metrorail stations, 17 bus routes, 92 Capital Bikeshare stations, and 89 miles of biking and walking trails. Arlington is well connected to Washington, D.C. and the greater region with 11 Metro stations on the Orange, Silver, Blue and Yellow lines, plus easy connections to the Red Line for access to Amtrak Washington, D.C. Union Station. Check out Metro's Trip Planner for more info. 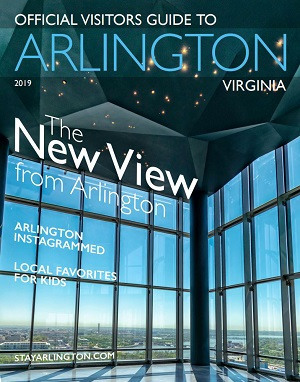 The D.C. area’s regional bus system has more than 20 routes in Arlington promising connectivity where there is limited Metrorail service—plus, you can take in the sights as you travel. Check out Metro's Trip Planner. ART-Arlington Transit and DC Circulator buses offer additional options for exploring Arlington and D.C.
Bike-friendly Arlington has 100-plus miles of multi-use trails, on-street bike lanes and designated bike routes. Visitors can go to Capital Bikeshare to check out bicycles at more than 400 stations in the region, and check out BikeArlington for local maps and routes. Renowned for its lively, walkable neighborhoods, Arlington has wide sidewalks, beautiful trails, award-winning public art, and ample shopping, dining, nightlife and attractions just steps away from hotels. Named a Gold Level Walk Friendly Community by the Pedestrian and Bicycle Information Center, Arlington is easy to navigate on foot. Be sure to pack some comfortable shoes because you’ll enjoy a lot of strolling on your visit! If you are arriving by car, Arlington is easily accessible by highways I-66, I-395 and U.S. Routes 1, 29 and 50. Many of the area hotels have onsite parking, and Arlington has more than 100,000 parking spots. Search for a parking garage. To see additional transportation options, search our listings below. Moving large groups around can be a challenge, but the Arlington Convention and Visitors Service can help you. Contact us to help you arrange for tour bus parking. Event organizers and meet-ing planners should advise their event attendees to pack comfortable shoes for walking. We recommended that large groups take public transportation. Metro SmarTrip® Cards can be purchased at any Metrorail station, at Metro sales offices, or at locations of The Commuter Store in Ballston, Crystal City, Rosslyn and Shirlington.